Gardening mistakes are bound to happen — especially if you’re still new. Even those who have been doing gardening for a long time still make a few mistakes. Of course, it’s best if you’re able to refrain from having these missteps. A major or minor mistake can greatly affect the visual appearance of your garden and plant growth. In gardening, there are practices that we are simply doing without thinking, and fail to realise that it is not good for the garden. With this article, I am going to introduce you to the usual mishaps that gardeners usually do. Not only that, there are also tips on how to avoid them. Starting large-scale projects because you were inspired by the marvelous images of gardens from the magazine and shows is commendable, but you might want to slow down if it’s your first time. Tantamount to reality, these landscaping designs can be tricky and hard to achieve. If you don’t want to get disappointed because you failed in achieving the garden the same as what you have seen, then don’t start big. Starting huge can be disappointing in the beginning, giving you the idea to give up in the middle of the journey. Start your garden by planning small and expand it later on when you have gain more experience. If you are growing a garden that’s too big for you to handle, then it is very tiring to maintain. Do not plant a plant in large numbers if you do not have enough space for them. Starting small for a garden can gain a better sense of achievement and accomplishment. Through this, you can also learn about the different types of plants and also become knowledgeable with applying and experimenting with various gardening techniques. Don’t feel obligated to have a large garden just because your neighbours have one; it is okay to have a small garden first and just let it grow it over time. A gardener may not notice it, but we are bound to make a watering blunder at some point. It does not matter that you have been watering for years since mistakes really do happen. It is very important for you to remember that a gardener’s goal is to keep your soil damp, not waterlogged. Watering your plants will encourage them to grow; however, if you water their roots too much, the water will drown the roots and the plants will die. Frankly speaking, different varieties of plants require specific techniques in watering. It is important that you will educate yourself what kind of plant you are adding to your garden and comply to their needs. Plants with bigger roots like shrubs and trees need a good deep soak at least twice a week. You do need to be careful with large trees since their invasive roots can cause damage to your garden and house’s plumbing. Seasonal flowers only need to be watered rarely during the colder months, but they need to be watered at least 4 times a week during summer time. If you have flowers that are beginning to grow, it is important to give them plenty of supervision. It’s because their roots are more delicate so be careful not to shower them too much water. Overcrowding is a big no in gardening. Doing this habit only creates problems between the plants as they will compete for the nutrients they get from the soil. The sunlight may not be properly dissipated between the plants since some vegetation might overshadow the others. Also, the roots may have not enough room to grow properly. Robust plants will push out of the way which means you will not get the colourful and varied flowerbed you worked and hoped for. The same case also applies to vegetables. It is essential to give your seeds and plants a good room to germinate and reach their full potential. Some are lucky enough to own healthy and high quality soil in the garden. Others are not so fortunate since their soil type are clay, sandy, and/or rocky. But even if the soil is top notch, it won’t be good enough for gardening if no proper improvement or care is practised. To have a good produce, and for the benefit of your greenery, give your soil a little boost. If you do not have a healthy soil in your garden, lay some organic soil onto the existing ones you have. An inch or 2 will be fine and you should also add compost as it will provide all the needed nutrients for the plants. With this, the plants will grow into its full potential and prosper. Your gardening may not be perfect as certain blunders are to be expected; however, by learning how to avoid these common gardening mistakes, you will have a better idea on how to improve your garden. Katie Jones is a passionate writer for home improvement topics that include but are not limited to: plumbing, gardening, bathroom renovation, etc. You know all the right things to say when asking for a raise. Your work emails are things of concise beauty. You’re a consummate follower of career advice and you’re reasonably confident that you’re making all the studied choices that will boost you up the ladder. But not all advice is created equal. What looks like a smart career move on the surface can turn out to be a trap when you consider it more closely. Below are four of those so-called smart moves that actually hurt you more than they help. 1. Coming in early or staying late. There are industries in which working crazy hours are the expected norm, but, for the majority of us not in entry-level Wall Street finance or consulting with one of the Big Four, being at your desk at the crack of dawn and/or still there when the office cleaning crew makes their rounds can often look less like dedication and more like a profound lack of time management skills. A little overtime is inevitable, but when it becomes habitual, you appear to be someone who has either allowed yourself to be overburdened with more tasks than can fit into the 9-5 or a person who wastes those hours and has to make up for them when everyone else is already at home. 2. Volunteering for unappealing assignments. Think you’re winning brownie points when the boss asks for someone to take notes during a three-hour meeting or tackle a thankless data entry project and you eagerly raise your hand? Think again. What you see as taking one for the team can also decrease the value of your time in the eyes of others. Tedious tasks are the inevitable reality when you’re at the bottom of the career ladder, but once you’ve risen a few rungs, you should be managing your time and energy more closely and carefully. Volunteering for low-status assignments sends the opposite message. Say yes one too many times and it will become second nature for colleagues to assume you’re the go-to for grunt work no one else wants to touch. 3. Being hyper-focused on your work. You eschew workplace gossip and skip water cooler small talk. You eat at your desk while finishing up paperwork. You’re always the guy to bring the meeting conversation back to the topic at hand when everyone is shooting the breeze about college sports. While your work output may be stellar, you’re probably failing miserably at the social aspect of your job, which counts as much if not more in terms of your success than simply acing the contents of your your job description. Routinely ducking office happy hour comes with consequences that may not be as direct as missing a deadline, but ultimately tend to prove more dire to your advancement. 4. Never giving up or admitting a project failed. Common career advice tells you that when you screw up on the job, the best course of action is to own up to mistakes and present a plan for how to fix the situation. Sometimes, that’s just throwing good energy after bad, especially when you refuse to give up on an idea or project that just isn’t working, convinced with just a little more ingenuity or effort, it will pay off. Take a breath, Captain Ahab. There’s a fine line between laudable tenacity and beating a dead horse. The latter doesn’t make you look resourceful, but rather stubborn and myopic. Sometimes, knowing what not to salvage is smarter than trying to make lemonades out of the lemons you’ve been handed. :Glass can now be paired with Bluetooth input devices, including keyboardsBug Fixes and performance improvements"
The site was last updated in October 2014. This shows that Google has not completely forgotten about the $1,500 eyewear. There’s no better source of motivation than a healthy dose of Vitamin D. When the weather turns warm, I feel ready to tackle challenges, revisit old commitments and put plans into action. And it’s no coincidence that when the temps heat up, companies also tend to come out of hibernation and start to refresh their ranks with new hires and promotions. This is good news for you, and means that if you’re exiting grad school or looking for a new adventure, it’s time to brush up on your career skills. In fact, there’s no better time to set yourself up for success for the rest of the year. So whether you’re gearing up to ask for a raise, ready to apply for your dream job or just want to grow in your current role, here are six tips that are sure to support your goals. What happens in your body when the words “professional development plan” cross your path? If you’re like me, you might cringe and avert your eyes. Planning for the future can be hard, and especially when we work as much as we do, it’s easy to fall into the day-to-day and forget we’re actually working toward some goals — and not just those that support your company’s bottom line. Gone are the days where jobs step in to push professional development, so if you want to keep growing, it’s up to you to ask for feedback, seek solutions and implement a plan. Take stock of your progress and contributions at work at least twice a year and use the benefits your company offers — tuition reimbursement, sponsored workshops, etc. — to invest in your future and improve yourself. Not only will you sharpen your skills and expand your qualifications, but you’ll also showcase that you’re resourceful and proactive. There’s this thing called imposter impostor syndrome, and you may have heard of it. It creeps into our psyche and tells us we’re not good enough. It says there’s no reason someone should rely on us to get anything done because we really don’t know what we’re doing and are just waiting for the world to find out. That voice is wrong, and it’s holding you back. Saying yes when opportunities arise can help you be seen, get recognized for your enthusiasm and applauded for your aptitude. Also, no one expects you to be perfect. If you’re in a certain position or role at work, more likely than not, you’ve genuinely earned it. There’s confidence associated with saying yes, but there’s also maturity and self-awareness associated with saying no. If you’re stretched paper thin, it’s OK to turn down tasks and ask your manager to help you prioritize your work. In the end, everyone (including yourself) will thank you. There’s no denying that when it comes to promotions your work product counts. But no matter your rockstar status, how you get your work done matters too, and at the end of the day, decisions about advancement are made by people, for people. It’s not necessarily about being the chatty Cathy or the biggest personality, but it is about being respected, and more importantly, respecting others. To do this, find a mentor, build relationships, be the person everyone wants to work with and practice being kind every day. This positive energy will come back to you in spades and sometimes when you least expect it. Basically, being humble all the time can actually be hampering your progress. Don’t defer credit, minimize accomplishments or fail to speak up about your wins. In the long run, you’re only harming yourself. Instead, don’t be shy and learn how to tastefully highlight the unique way you bring value to the table. Years ago I left my “dream company” to take a job in a new city, industry and function. I did it because I was operating under the definition of success that society created for me: climb the corporate ladder, get promoted, make a ton of money and aim for a cushy corner office. When I followed that direction, I was met with disappointment. My festering unhappiness affected my performance at work, as well as the person I was at home. With help, I decided to figure out what advancement and success meant to me. Rejecting people’s expectations was hard, but the resulting fulfillment and satisfaction wiped away any doubts. Maybe for you advancement means fancy clothes, high-rise buildings and a fat paycheck, and that’s completely OK. But you should also recognize that success comes in many forms. Don’t be afraid to look at yourself and write a definition that feels right. The World Health Organisation (WHO) has said that yoga, the ancient Indian science of exercise and healing, can be practised by people of all ages to stay fit, healthy and fight lifestyle diseases. Dr Poonam Khetrapal Singh, WHO Regional Director for South-East Asia, said the only requirement is “a commitment to better health and a willingness to gently stretch, exercise and invigorate one’s body and mind”. “It (Yoga) can help kids get the 60 minutes of daily activity (which is) needed to set up a lifetime of good health. It can help adults reach the 150 minutes of weekly activity needed to stave off non-communicable diseases,” she said. “For persons aged 65 and above it can help reduce the risk of depression and maintain cognitive functioning”. Yoga is considered an effective way to increase strength and flexibility, enhance cardio-fitness, burn calories and relax the mind. It has also been known to help cultivate routine and integrate physical activity into daily life. In December 2014, the United Nations General Assembly (UNGA) approved by consensus an Indian proposal to celebrate Jun 21 as the "International Day of Yoga". "I love Uber more than anything in the world and at this difficult moment in my personal life I have accepted the investors request to step aside so that Uber can go back to building rather than be distracted with another fight,"
In a statement, the board of directors praised Kalanick’s decision. Rihanna looked stylish in a lacy white caftans and hats with bandannas from Christian Dior Resort Runway collection. The songstress was photographed during the presentation of the 'Young Fashion Designer' - LVMH Prize 2017 Edition held at Fondation Louis Vuitton on Friday, June 16, 2017 in Paris. A new Ebola vaccine has been found to be safe for humans, according to the results of an early clinical trial developed at the Canadian National Microbiology Laboratory of the Public Health Agency of Canada. The researchers also found that high antibodies were present in participants six months after immunisation with the experimental VSV (vesicular stomatitis virus)-Ebola vaccine. The trial involved 40 healthy people aged 18 to 65 years and looked at the safety of the vaccine and the lowest dose required for an immune response after injection with one of three doses. Out of the 40 people, 30 participants received the vaccine and 10 received placebo injections. The researchers found that adverse events were mild to moderate, with only three severe reactions, including headache, diarrhea and fatigue, which were completely resolved. "The results of this trial were positive and very promising; all 3 dose levels of the VSV [vesicular stomatitis virus] Ebola vaccine were well-tolerated by participants, and no safety concerns were identified," says Dr. May ElSherif. This study, published in Canadian Medical Association Journal (CMAJ) shows the importance of further investigation. A new study by the American Heart Association has advised that people should avoid eating coconut oil. The recent studies showed that coconut oil increased LDL or bad cholesterol in seven out of seven clinical trials that attempted to look into the effects of coconut oil diet. Hence, there is no significant difference between coconut oil and other oils that are notorious for high saturated fats such as butter, beef fat and palm oil. The report says that 82% of the fat present in coconut oil is saturated whereas butter has only 63% saturated fat, beef fat has 50% and pork lard 39%. The studies showed that reducing saturated fats lowered cholesterol, reduced the risk of heart attack and stroke, and in some cases lowered the risk of death from coronary heart disease. Kate Middleton and her 2-year-old daughter Princess Charlotte wore matching colourful pink outfits for the annual Trooping the Colour Parade in London on Saturday. The event was to celebrate the Queen‘s birthday, despite her actual birthday being in April. Celine Dion will unveil her new collection of leather lifestyle goods in August 2017. The affordable line of leather handbags, luggage and small accessories will be available at the department store and its online hub to Nordstrom this summer. The line will expand into jewelry, shoes and clothing for women and kids in future. "My collection is all about affordable luxury, and we've created beautiful designs with excellent quality, and I can't wait for everyone to discover all of this at Nordstrom." She also posted a video on Youtube to celebrate her. Happy Birthday North . Wishing You All The Best . China has successfully launched its first X-ray space telescope. 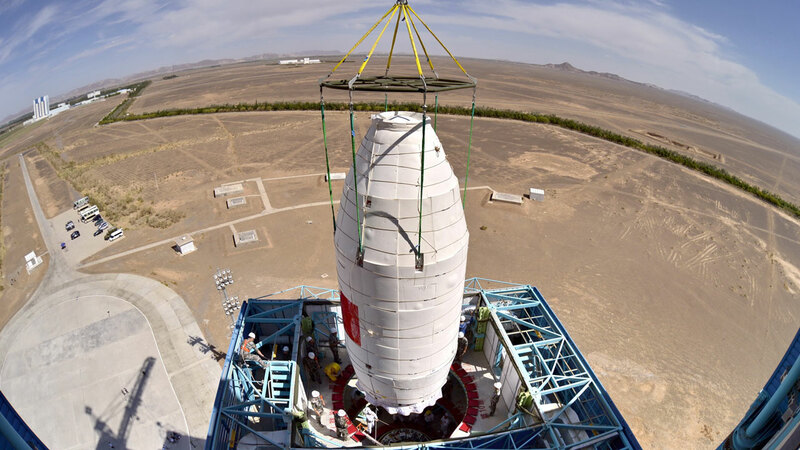 A Long March-4B rocket carried the 2.5-tonne telescope into orbit from the Jiuquan Satellite Launch Center in northwest China´s Gobi Desert at 11:00 am (3:00 GMT) on Thursday. The Hard X-ray Modulation Telescope (HXMT), named Insight, will allow Chinese scientists to observe magnetic fields and the interiors of pulsars and better understand the evolution of black holes. It will also help scientists search for gamma-ray bursts corresponding to gravitational waves and study how to pulsars can be used for spacecraft navigation, Xinhua news agency said. "Insight is expected to push forward the development of space astronomy and improve space X-ray detection technology in China," Xinhua said. 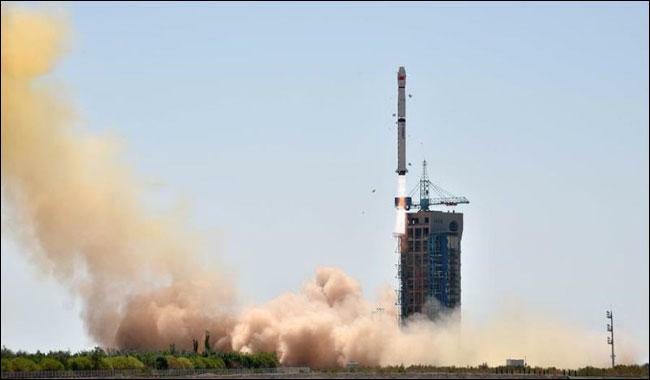 Beijing sees its multi-billion-dollar space programme as a symbol of its rise and of the Communist Party´s success in turning around the fortunes of the once poverty-stricken nation. In April, China´s first cargo spacecraft successfully docked with an orbiting space lab -- a key development toward China´s goal of having its own crewed space station by 2022. Last month, China opened a "Lunar Palace" laboratory on Earth to simulate a moon-like environment and house students for up to 200 days as the country prepares for its long-term goal of sending humans to the natural satellite. Oregon has become the first U. S. state to allow residents to be identified as neither male nor female on state driver's licenses. Under a policy unanimously adopted on Thursday by the Oregon Transportation Commission, residents can choose to have an "X," for non-specified, displayed on their driver's license or identification cards rather than an "M" for male or "F" for female. The decision in Oregon comes a year after a Portland circuit court judge granted a request by Shupe to change gender from female to a third, nongender option. The Duke and Duchess will embark on a 5-day tour of Poland and Germany from July 17-21, 2007. 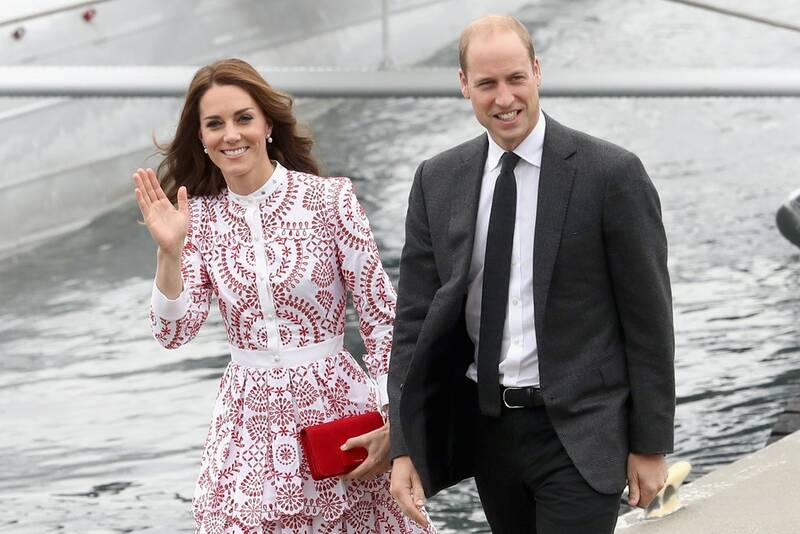 The royal couple will visit Warsaw, Gdansk, Berlin, Heidelberg and Hamburg and return to the United Kingdom on July 21. This is Prince William’s second official visit to Germany, his first being last summer, and their first official visit to Poland. Sasha, the second daughter of Barack and Michelle Obama turned 16 on June 10. Her parents joined her in the celebration. Amal Clooney, 39 and George Clooney, 56 have welcomed their first two children - Ella and Alexander on Tuesday morning. Amal gave birth at Kensington wing of the London hospital in Chelsean and Westminster. The couple and their twins are in good health. Job seekers have been brainwashed to believe that they are lucky to get into the door of any company, which results in fear and desperation during the interview. So we often forget to look for the red flags during the interviews or we ignore them. We all understand the desperation to land a job to pay the bills, but remember that your next move should move you up the career ladder. The wrong job and company can hurt your career and resume. Employers may see a company with a poor reputation on your resume and wonder why you chose to work there. They may question your industry knowledge, integrity, and standards. If you work for a company with a toxic culture, then you’ll find yourself on edge all the time, and it may affect your mental and physical health. Toxic work cultures lead to stress, sleep-deprivation, and weight gain. No company should be prioritized over your health. 3. A company that’s lagging in the tech area brings down their productivity and yours. Your resume will also suffer from your dated training and experience your company provides; employers may see that you don’t meet their minimum certification requirements or software experience as a result. A bad job experience can affect your career outlook and standards. Stress and job dissatisfaction can make you feel inadequate or ineffective, and you’ll end up either moving to a worse job or staying with your toxic company for years. Most people begin to feel the desperation during their job search, but don’t forego the opportunity of a great job with a great company by accepting a position with a sub-par company. The World Health Organisation (WHO) has updated their list of "essential medicines". The 2017 Essential Medicines List (EML) adds 30 medicines for adults and 25 for children, and specifies new uses for nine already-listed products, bringing the total to 433 drugs deemed essential for addressing the most important public health needs. The change aims to ensure that antibiotics are available when needed, and that the right antibiotics are prescribed for the right infections. These changes support WHO’s global action plan on antimicrobial resistance, which aims to fight the development of drug resistance by ensuring the best use of antibiotics. The World Health Organisation (WHO) has recommended grouping the drugs into three categories on the basis of their usage to promote their rational use as well as combat anti-microbial resistance. The three categories include access, watch and reserve. WHO recommends that antibiotics in the Access group (which includes amoxicillin) be available at all times as treatments for a wide range of common infections. The Watch group includes antibiotics that are recommended as first or second choice treatments for a small number of infections. For example, the use of ciprofloxacin, used to treat cystitis and upper respiratory tract infections, should be dramatically reduced to avoid further development of resistance. The third group, Reserve, includes antibiotics such as colistin and some cephalosporins that should be considered last-resort options, and used only in the most severe circumstances when all other alternatives have failed. WHO experts have added 10 antibiotics to the list for adults, and 12 for children. HIV prevention drug PrEP (Pre-exposure prophylaxis) was also added to its list of essential medicines. The WHO's list of essential medicines was launched in 1977 to coincide with the endorsement of universal healthcare by a coalition of governments at the time, and it's revised every two years. On the eve of my 30th birthday, I remember thinking how squarely un-put-together my life was. That morning, I ran a load of laundry in the drier, but it was still soaking when I pulled it out. I forgot my laundry card upstairs so rather than run another load, I hauled the load up to my apartment and quickly sprawled the clothes over my bed in hopes they would air dry the old fashioned way while I was at work. I got back from work that night around 11pm. I had forgotten by that point about the clothes until I walked in to find my clothes everywhere. Too tired to fold them, I did what every well-reasoned adult would do: I gathered the clothes into a big pile and moved them from my bed to the couch so I could immediately fall asleep. The next morning, I rushed around bleary-eyed, folding clothes so I could still squeeze in a work out and maybe make breakfast. I wish I could say this is an unusual occurrence. Several years ago, I started on my quest to understand what gets someone to CEO...or the next president elect of France. I began asking the most interesting and successful people I knew what they believed drove success. By far most interesting thing that stuck out to me from everyone I talked to was how in control they were of their careers. They wholeheartedly believed their career is their choice and were very proactive in shaping it in a way that suited them. It was refreshing to hear. In my twenties, I often worked so hard I felt my career was controlling me. People love to complain. It’s like a rite of passage in the workplace. It doesn’t matter what job, I don’t know a single person that doesn’t do it. And I get it, people feel stuck. But you have more control than you think. I was listening to a panel the other day, when someone said “Your career is your choice: if you don’t like it, change it.” Realize if you don’t change it, you have made that decision. Now, there’s a novel idea. People often counter that it’s much harder than that. You can’t just change things. The reality is you are the only one that can. More often than not You have much more control over it than you think. We’re so preoccupied with not wanting to make a mistake and worried about not getting it right that we end up making no decision or move at all. You may never know exactly what you want to do next and even if you do, there may never be a “right time” to do it. Without question all the people I talked to who took a risk, made a leap of faith into another career or even a leap of faith in their existing career, did it with some uncertainty. Most career choices come from a place of fear, of the unknown let’s say, rather than a place of true passion for what we’re doing. Once you know where you want to go, there is no one way forward. You’ll come across the Cal Newport’s who advise you not to follow your passion. You’ll also come across others who advise you precisely to do just that. There isn’t any one way. You can probably get to the same place with both paths. I’ve taken a fairly traditional career approach, but it’s worked for me. I know many others who have taken a brute force approach trying to build a career on their passion from the ground up. I've seen both approaches work. In a nutshell, the reality is no one knows what they’re doing or where they are heading, whether they’re a chief executive or someone just getting started. Everyone one is feeling and finding their way, sensing what’s possible and intuiting what’s not. When I turned 30 I was sure I would have life figured out by now. I can vouch that is far from true. But from what I’ve seen the most successful people are always those that take responsibility for their own careers. They shape it in a way that’s unique to them. And started doing it even at the outset, before anyone would have called them successful to begin with. My career in my twenties was all about proving myself. The closer I got to thirty the less I cared what other people thought and it gave me some freedom to pursue what I found meaningful instead. As I’ve been told, everyone who follows their own path, no matter how that shapes up, is happier for it. Let’s hope it’s true. 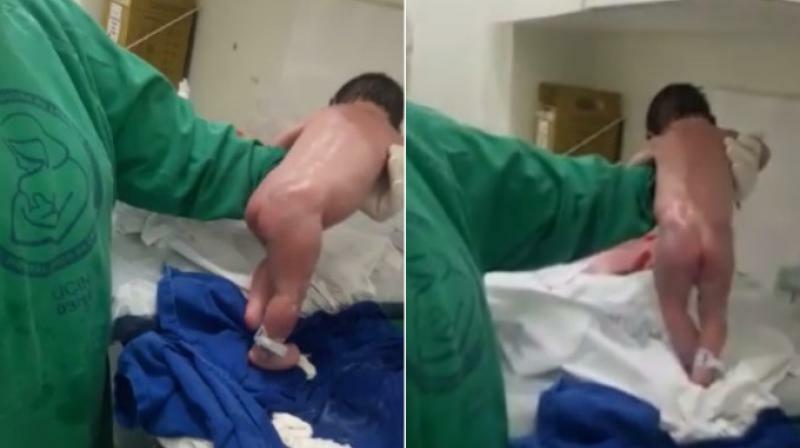 Above is an image of a newborn baby who started walking within few minutes after birth. Nobody can really explain the reason behind this.